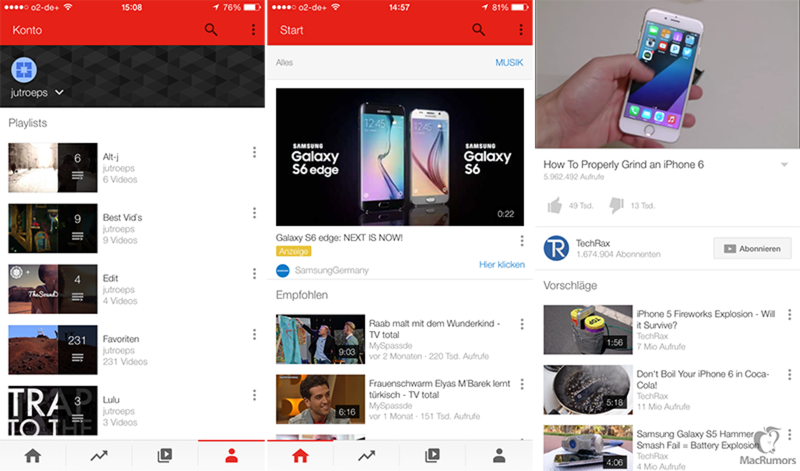 YouTube users have noted that the video website’s iOS application, YouTube for iOS, appeared to receive a design overhaul featuring a revamped user interface (UI) earlier today. Soon after the change appeared, though, it disappeared from the application, and as of this writing the YouTube iOS app remains unchanged. 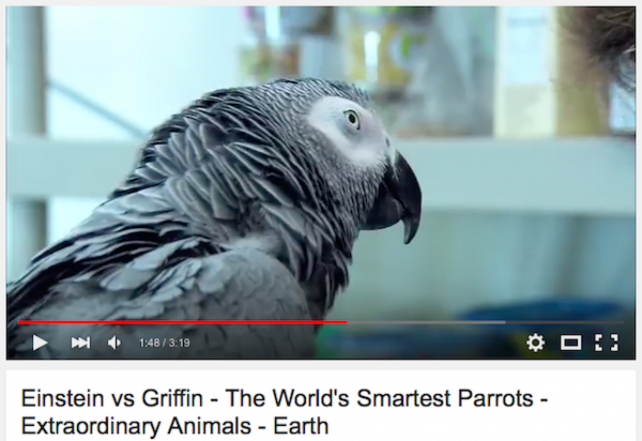 MacRumors reported on the alteration, and notes that the YouTube app’s new UI also included an updated in-app video player. The website received a number of screenshots claiming to depict the app’s updated interface, too, though of course, the authenticity of these images can’t be verified. Generally speaking, “the screenshots show that the app will gain a cleaner look, red header, and new bottom menu with options for home, trending videos, all videos, and user profiles,” MacRumors explains. The app’s revamped video player. MacRumors goes on to note that Google is said to be testing “a new HTML5 desktop video player for Mac and PC with a transparent control bar that automatically hides until you hover over it.” It indeed makes sense, then, for an appropriate updated YouTube iOS interface to launch in the application, if such changes to YouTube’s desktop-side offerings are inbound. To be sure, YouTube has been bolstering its presence on iOS recently, and the service released a brand new app for younger viewers, called YouTube Kids, back in February. The application offers family friendly, age-appropriate content for youngsters, and it’s a universal title that can be downloaded free of charge. 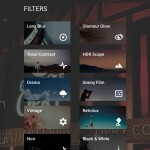 Google has also been revamping some of its other iOS applications, and Snapseed, the popular photo editor, is one of these: last week, the application received its first update in more than a year, and this brought a redesigned look, enhanced “Stacks” functionality, and a selection of new filters. Apps aside, Google is also said to be working on bringing iPhone compatibility to its Android Wear platform, though if this is the case, Google’s wearables face stiff competition from the Apple Watch. 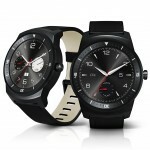 In fact, if the results of a recent data sample are anything to go by, preorders for Cupertino’s smartwatch in the United States alone have already eclipsed the sales of all Android Wear decides to date. 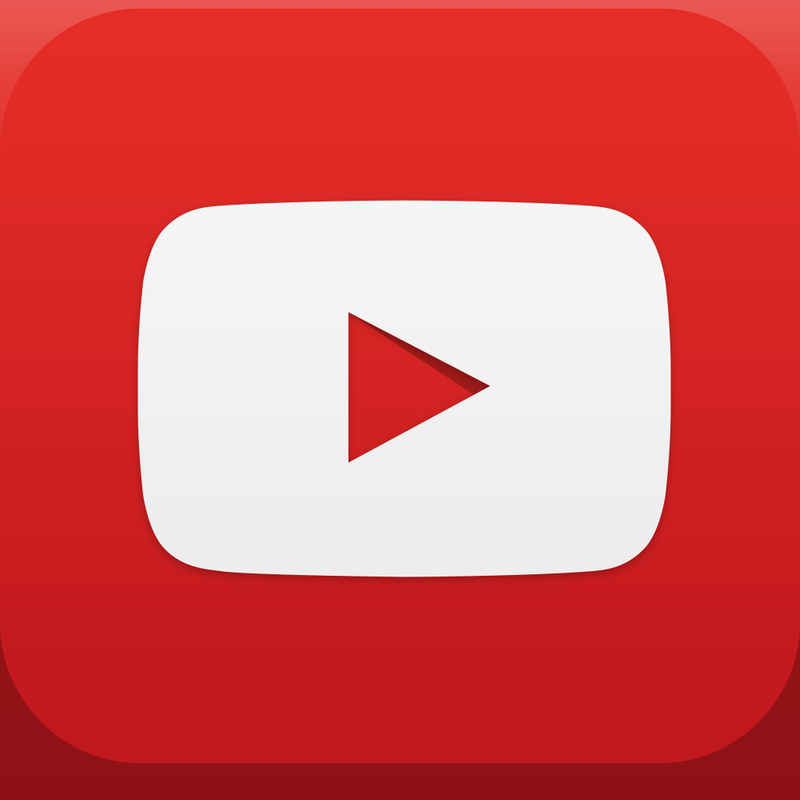 YouTube for iOS can be downloaded on the App Store free of charge. We’ll let you know if the application’s redesigned UI reappears. See also: No more app access for iFunBox or similar tools in iOS 8.3, Track your spending with ease in Unspent, and Is Twitter bullying celebs and publishers into using Periscope?.